Often with artists who have managed to attain the status of icon, the many years spent at the very pinnacle of their genre has taken its toll on their creative output: whether it be an exhausted musical ability, or the sheer lack of a tactful approach to live performance. 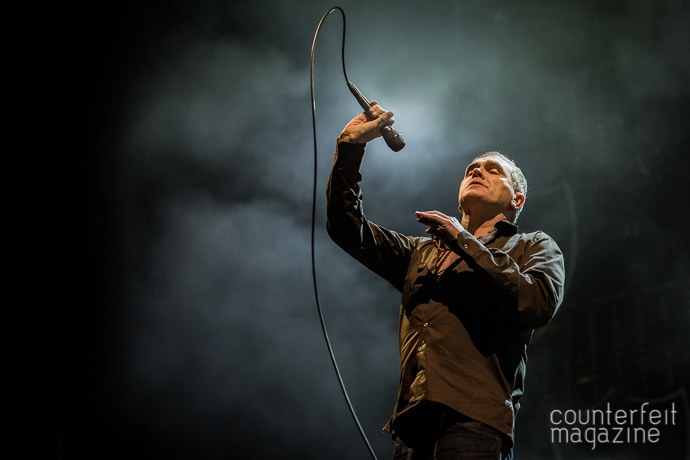 Both Morrissey & The Smiths are held in high esteem by droves of people all across the country (and especially those in the north), on the Leeds stop of the ‘Low in High School Tour’ we see if Morrissey has still got it. 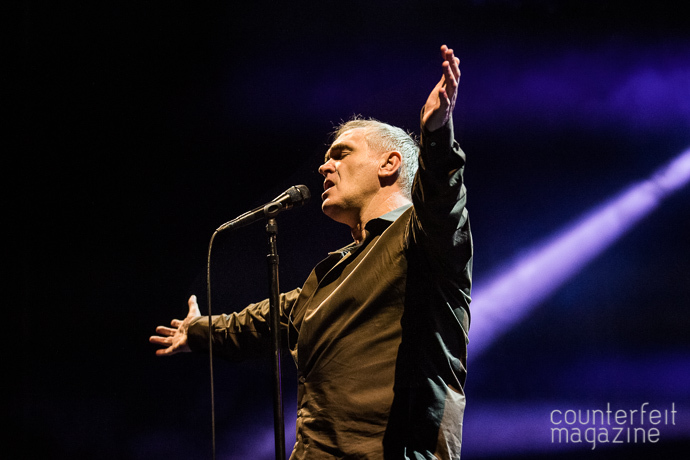 The tour, much like 2017s “Low in High School”, is heavily steeped in nostalgia; both for the fans, and Morrissey himself. 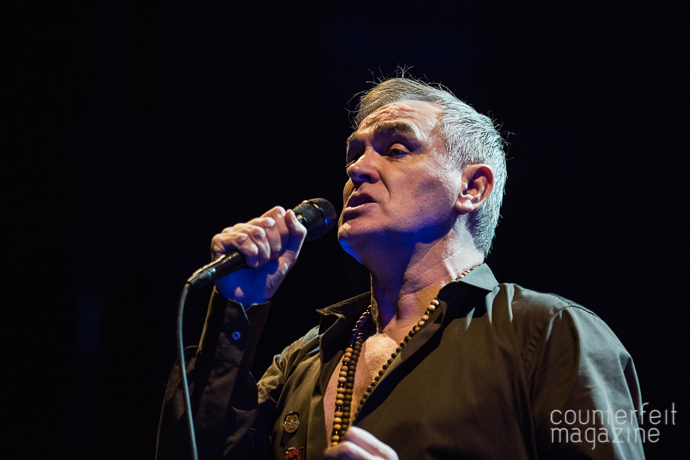 In keeping with this theme, the concert was opened by a short ‘film’ containing old clips from Top of the Pops performances, vintage music videos, and even some footage of Tatu covering The Smiths’ classic ‘How Soon is Now?’. 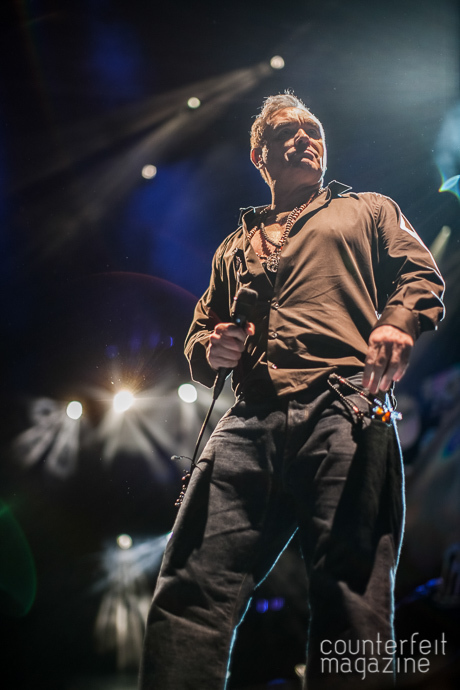 Once the film reached its conclusion, the band took to the stage and launched into a cover of Elvis Presley’s ‘You’ll Be Gone’ to kick proceedings off. 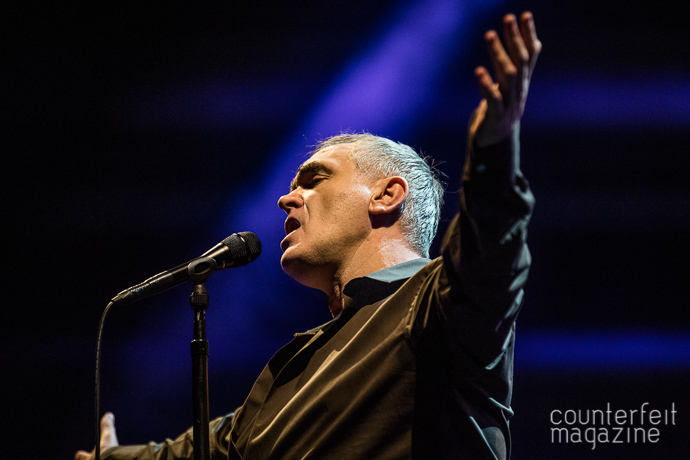 From leading lyric to final wail, Morrissey was on the absolute top of his game. 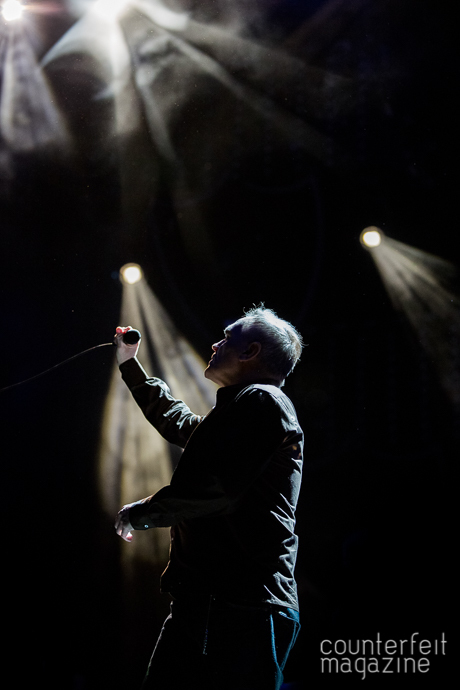 Those of you who just ‘don’t get’ the popularity of Morrissey, need only to witness his live ability, to feel the wave of understanding and appreciation wash over you. As striking as his vocal prowess was, almost as impressive was the coherence and scale of the performance’s visual aspect. In an almost un-faultable performance, his signature arrogance almost seemed understandably warranted. Accompanied by large video screens, they served to extenuate the performances’ poignant moments and amplify its impact. 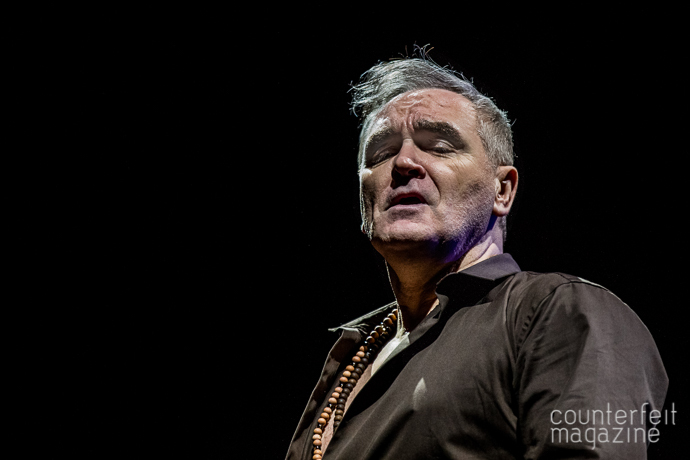 One such moment was during ‘Munich Air Disaster 1958’, Morrissey’s tribute to the Manchester United players who tragically died when their aircraft slid off an icy runway 60 years ago. The song was accompanied by vintage footage of the ‘Busby Babes’ in action, before closing with a black screen containing the names of those lost. These seemingly thoughtful moments proved to be fleeting, and they soon gave way to his characteristically self-aggrandising, soapboxing about politics, the establishment, and of course, vegetarianism. Footage of police brutality soundtracked by last years’ ‘Who Will Protect us from the Police’, carried with it a level of shock value only attainable through the use of monolithic video screens: the sheer scale of which proved impossible to consciously ignore. 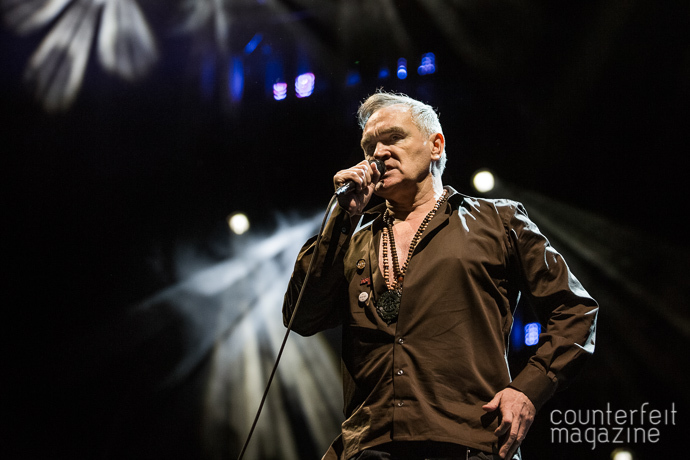 This tour marks the first time the anti-war anthem ‘I Bury the Living’ has made into a live setting, a decision which seemed to split the opinion of those in attendance. 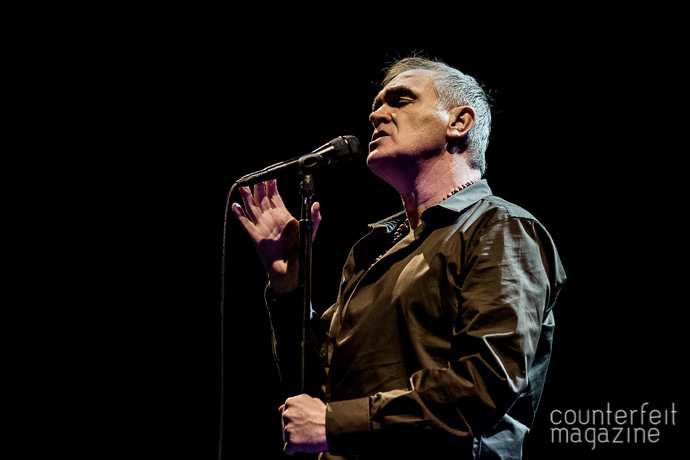 With the start of ‘The Bullfighter Dies’, conceptual violence once again gave way to visual violence as the video screens were adorned with graphic imagery reflecting the songs’ subject. With no tactful use of metaphor or symbology, what you see is what you got. 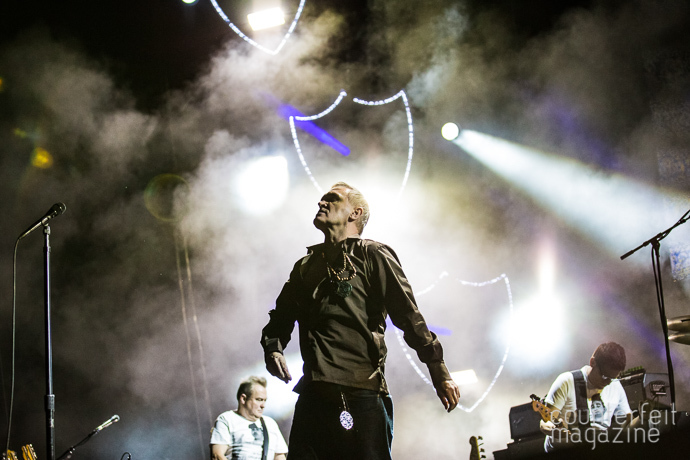 Towards the conclusion of the performance, the place erupted when the unmistakeable guitar intro of ‘How Soon is Now?’ reverberated around the arena: not one person deciding to remain in their seats. 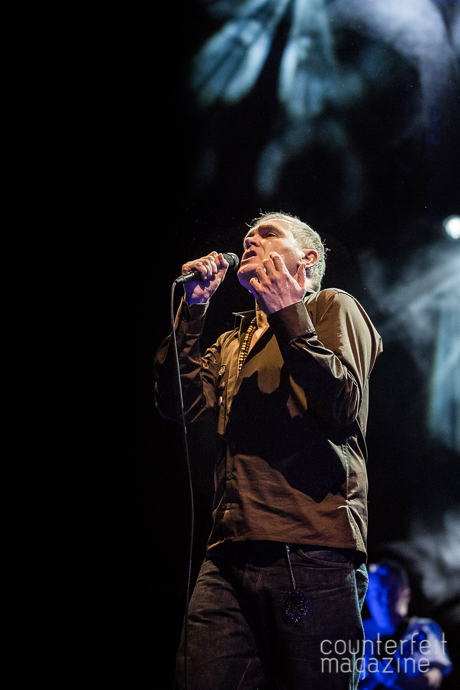 Strip away the acclaim, fame, fans, the classic albums, still what you’re left with is an absolutely incredible musical force in Morrissey. 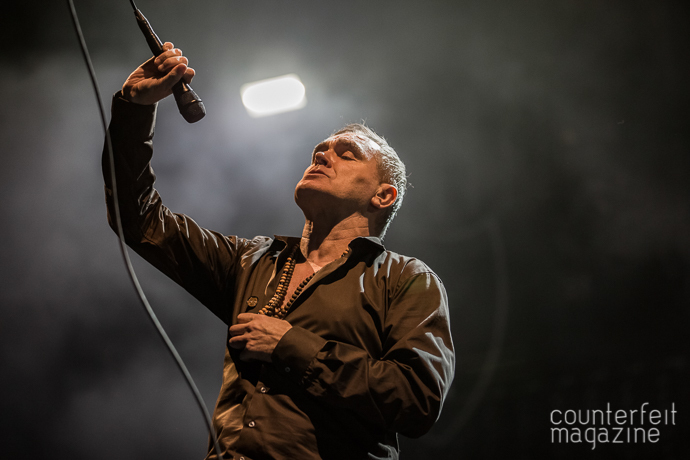 Whether you think his best days are behind him, or have fostered a constant adoration of him to this day; a fact that no one can deny is how unfaltering his musical and moral finesse is, even 30 years on.